Situated some 4.67 miles north of Dublin (Connolly), Howth Junction is the junction for the suburban branch to Howth. The branch opened to Sutton in 1846 and to Howth in 1847. Double-track throughout, the character of the branch changed completely on completion of the Howth – Bray electrification in 1984. Still in its delivery colours, CIÉ B141 class diesel locomotive No. 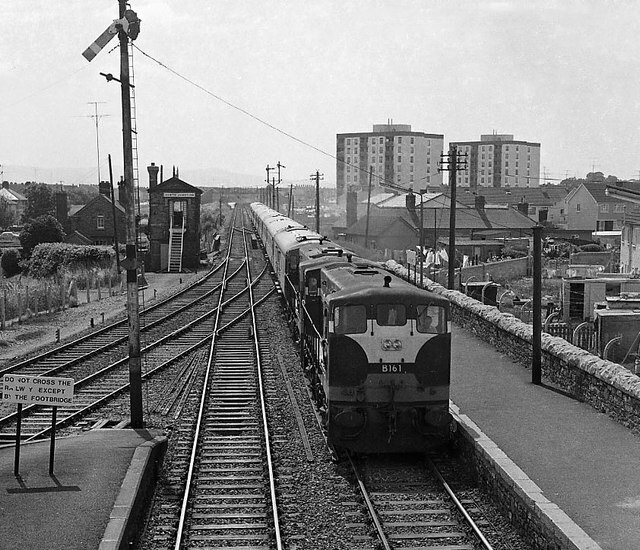 B161 heads the 14.30 Dublin – Belfast “Enterprise” past the junction. This page has been viewed about 228 times.